Ashley Basnight of Handmade Haven transforms her front porch for Christmas in three simple steps. This look will impress all of your Holiday guests, read more below to find out how Ashley put everything together with help from The Home Depot. With Christmas around the corner, I wanted to get a head start on my outdoor Christmas decorations. Today I’m sharing my steps on how I decorated my home for the holidays. I first started out with my front door entrance. This to me is one of the most important places to decorate because it is one of the main focal points of the outside of house. Whether you’re having holiday guests over or people walking by, you’ll want to make sure your front porch entrance is decked out in holiday gear. I started off decorating the front entrance with this Snowy Pine Wreath with Pinecones and Berries. 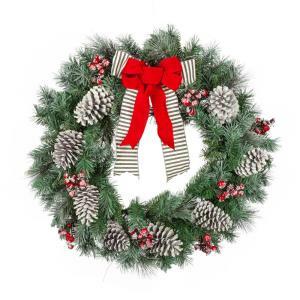 I love this wreath because it has a modern feel and especially love that it has a matching set. I placed the matching 6-ft. Garland with Pinecones and Bows on top of the door and together the two made the front entrance look awesome. Normally, I see longer garlands on doors, but I opted to use a smaller one to ensure that the door didn’t look cluttered being that the garland includes all of the additional additives. I also added in this Lumabase LED mini string light around the door to give it a subtle lighting. 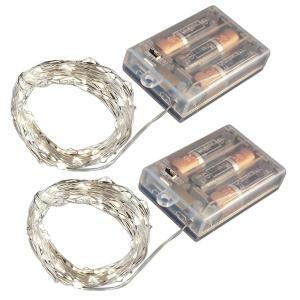 These little LED light shines bright in the night and makes it really easy to decorate with, being battery operated. 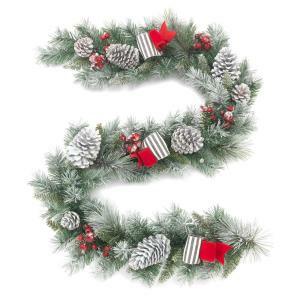 Not only does the wreath match the garland, but it also matches this 4-ft. Snowy Pinecone and Berry Christmas Porch Tree. This porch tree is a great design element for a front porch and features UL clear lights for lighting at night. 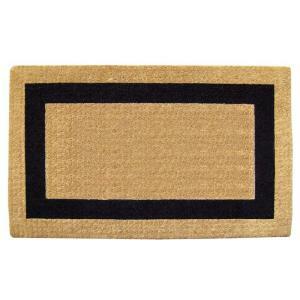 With its rustic bottom and matching additives, it was the perfect addition to my front entrance. I added in a couple of extra decorative items to help light up the front porch at night, like these Lighted Holiday Gift Boxes with bows and then threw down this Single Picture Frame Door Mat to tie it all together. These few items are very simplistic, but make my front entrance look elegant and holiday ready. A more traditional step to decorating your home on the outside is by hanging up Christmas lights. Normally, I go for a more traditional light design but this year I opted to use some specialty lights. 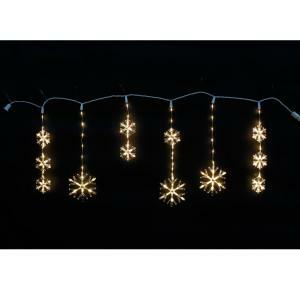 These Warm White LED Snowflake Icicle Lights are a great addition to my walkway leading up to my front entrance. They are easy to hang and light up my walkway very well during the night. If you are looking for something a little different this year, these lights are a great choice to hang up this Christmas. The last step in my holiday decorating venture was creating a small yard display. I love seeing fun yard displays in other people’s yard for Christmas, so I decided to create one of my own. To start, I added in this pair of Lighted PVC Deer and Doe. 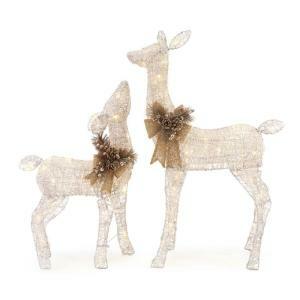 I love reindeer during Christmas and this pair matched up well with my snowflake icicle lights lit up behind them. These deer look so elegant as a stand-alone decoration, but you can’t have Santa’s reindeer without Santa. I put up this Pre-lit Inflatable Ethnic Santa to go along with the deer and doe. 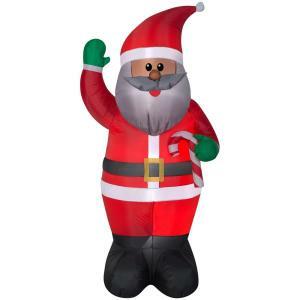 This inflatable Santa helped to bring a fun design element to the outside of my home. I love to keep my decor fun, so he fit right in. With these three easy steps, I was able to decorate the outside of my home in no time and I’m now ready for my holiday guests.